I purchased a trailer which i have spent quite a lot of money refurbishing it. I now have the relevant gas and electric certificates. I have Food and Hygiene level 2 and environmental health have inspected my van and said i am registered to trade. I rent 2 car parking places in a private car park that belongs to my landlord who owns a furniture shop. He uses the car park for his customer parking and it is not open to the public. He also rents a couple of spaces to people that work close by. The reason i rent two car parking places is that when i spoke to environmental health they said i would have to move the trailer daily or it would be permanent and then i would need planning permission. I plan to do shows and boot sales some weekends so it would not be permanent.My local councils planning have now informed me that i now need to apply for planning permission for the change of use of a car parking place to a trading place. I do have my landlords full permission and he does not want them two car parking places for parking which is why he rents them to me. My plan is to trade from one place where i can be seen by the public and the at night push it back out of sight to the other space. I would move it off site completely to be on the safe site. I worked on a pitch and use to take my trailer home or into a secure location. This way you will have peace of mind. You don’t really want to move it to a location that is not secure just for convenience, as this will also leave your vehicle open to theft/loss or damage. I am in a similar situation myself ,I have not put my money into it yet and undecided what to do ,as i am waiting to hear weather i can get a trading licence yet. I know I have a lot more rights than I am lead to believe I have,you incriminate yourself by believing what the councils tell you. You got to study and know what to say and do,well thats another story. Here is my situation. 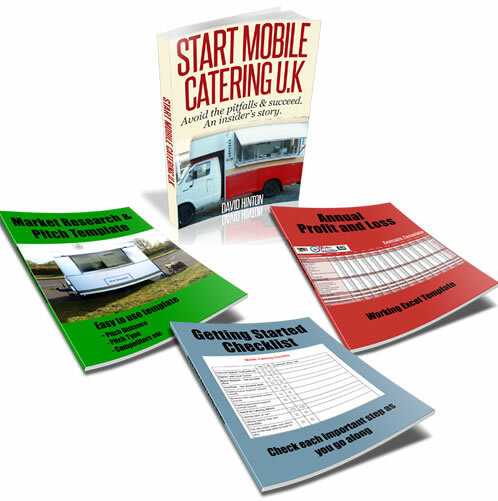 I am in negotiations at the moment about buying a catering trailer,I seem to be having problems with getting a trading licence, the trailer is on private land on a private road, and i have permission to be there from the owner, it is on a industrial estate. I have been told i have to move it daily or get planning permission for it to stay were it is ,if this is the case how far would I have to move the catering trailer from the pitch so its not counted as static. It has wheels on it and can be moved at anytime, I just leave it at this pitch for convenience. I would be grateful if anyone could give me any information . We have a van- not a trailer- .The parking is done on a similar small business car park as well like yours. The council made us get planning permission ( full amount) for the same reason- change of use. Normally this should apply if there has been any material modification to the land in which our case there has not been any. We work six days a week. We arrive in the morning and the van leaves to be parked elsewhere- no where near the work area. Is there anyone out there who knows otherwise? Good luck in your venture. We hope you'll do well..
As you have stated planning permission is needed if the trailer intends to be sited permanently each day on private land. You should also be aware that this can also trigger commercial rates which will be more favorable for any local council. I would just confirm this so that you know the full extent of any extra cost you may be liable for. I’m not sure if using one space and then moving it to another space will qualify as not “permanently sited”, so just double check. I know someone who use to park in different places on a car par and this seemed to work for him. Anyway please do keep us updated.